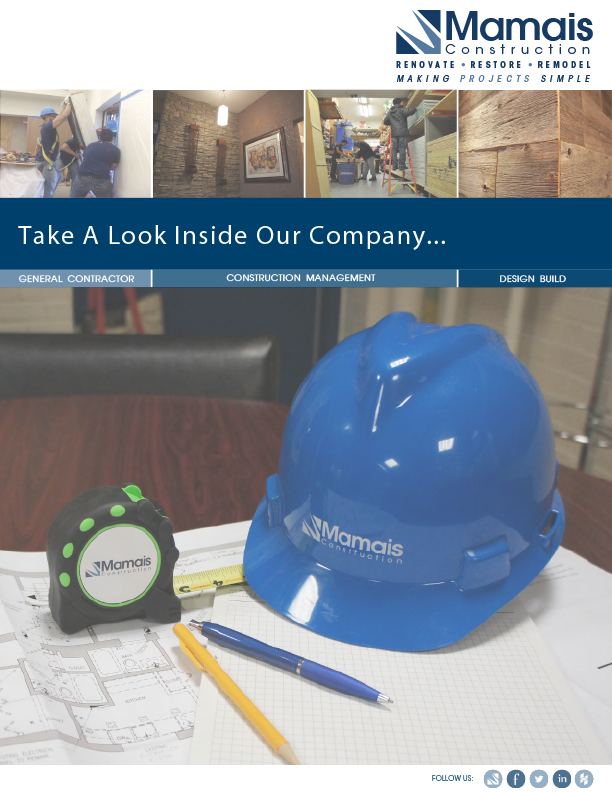 Mamais Construction actively supports the community through its involvement in a wide variety of organizations, community events and public awareness campaigns. We believe in strengthening our community by supporting local businesses and local employment opportunities. Our staff proudly serves to support our company goals for noteworthy causes. At Mamais, we believe that doing something small in our community can make a big difference.